Gillian Anderson arrived on crutches at the 2017 BAFTA Television Awards at the Royal Festival Hall yesterday evening(May 14th) in London. However that didn't stop her from standing out on the carpet. 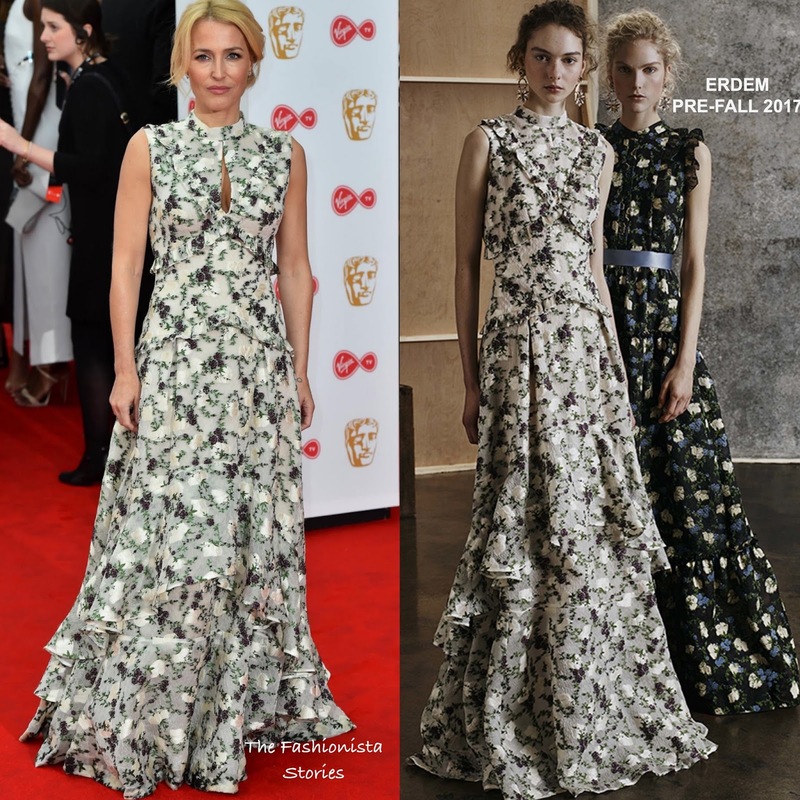 The veteran actress wore a ERDEM PRE-FALL 2017 sleeveless ivory, green & purple ruffle floral floor length flowy, feminine dress. The key hole detail added a flirty touch to her sophisticated look. Allowing her dress to remain the focal point as it should, she finished up with a center part up-do, pink lips and sparkly star earrings. What do you think of Gillian's look?